Testimonials - Santa Gene in Tacoma! 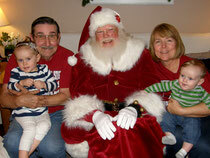 It was wondeful having Santa Gene come to the food bank for pictures and handing out candy canes to the clients. 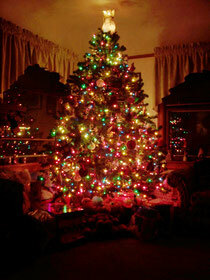 The kids (as well as the parents or grandparents) loved it too! Santa Gene volunteered his time for pictures and was a wonderful success at the Blue Mouse Theater fund raiser for the NW Tacoma Food Bank before the showing of "It's a Wonderful Life". Santa Gene has been my Santa for the last two years I've been the photographer at Teaching Toys Too in Gig Harbor Uptown for Santa Photos, 2011 and 2012. He is absolutely the best Santa I've ever worked with. He is always on time, looks wonderful, has great equipment, and has the best disposition. Santa Gene is friendly, happy, and very patient. He never looses his genuine smile even with the most difficult of children. I've been very lucky that he has agreed to be my Santa partner for the last 2 years, and I hope we have many more Christmas seasons to come. Thanks Gene. 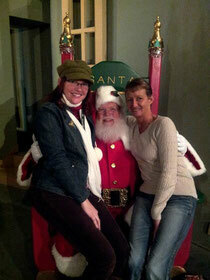 We have hired Santa Gene for our event this last week and found him very warm. The kids LOVED him as he was very gentle, took his time with each child and was an overall pleasure to have at our event. He was very prepared with a background check and a copy of his current insurance. 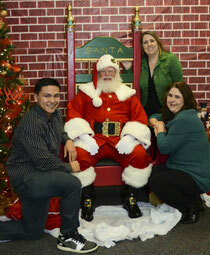 We are looking forward to scheduling our event next year with Santa Gene!! Santa Gene was great! I couldn't believe we could hire him to come directly to our home. He is very easy for little kids (and big kids) to warm up to. He looks like Santa. His suit is of high quality and super nice looking. He seemed to know just what to say to our granddaughter who was reluctant at first to sit on his lap. I would hire him again in a heartbeat. Santa Gene was our guest at our Company Christmas Party this year. Both the children and the adults loved him. He portrayed Santa in a very authentic manner. He did a wonderful job reflecting the spirit of Christmas.